We're looking at Mike Soroka's season debut and what it could mean for the Braves' rotation, and predicting how the Rockies' lineup might play out with both Ryan McMahon and David Dahl back in action. We dive deep into Homer Bailey's hot start and run through plenty of other news from yesterday, like Eddie Rosario's two home runs and Michael Pineda's clunker. Finally, it's time to dig into some listener questions and dissect Anthony Rizzo's and Jose Abreu's slow starts. We're breaking down the exciting James Paxton-Chris Sale showdown, and running through all the latest injury news while naming some under the radar players who could become household names in the near future with their potential opportunities. We're then playing who's hot, who's not, looking at the recent hot streaks of Jose Quintana and Marcell Ozuna while voicing concerns over Steven Matz and Buster Posey. Finally, we discuss the latest closer news, and why Jose Alvarado owners have a right to be frustrated. Despite a few weeks of baseball being played, there are still an overwhelming number of players that are available on the waiver wire worth owning. Michael Beller of Sports Illustrated joins us on the show to run through all the top options across various ownership points at the hitter (10:48) and pitcher (41:13) positions. If Jorge Polanco is still available, get him now (11:02). Don't hesitate to pick up Franmil Reyes (21:25), Carlos Rodon (41:26) and Michael Pineda (48:13) are quality arms worth owning, and who is Nick Anderson (54:13)? We're answering mailbag questions to close out the show like when is it too early to drop mid-round picks (56:12) and who are some buy-low candidates worth looking into (1:00:16)? Sponsors: Pristine Auction – Get the best deals in sports memorabilia including signed baseballs and custom jerseys with guaranteed authenticity. TickPick – TickPick is the fastest, cheapest, and easiest app to use for purchasing tickets to all your favorite events. Use promo code “FPROS15” at checkout to get $15 off an order of $99 or more. Ridge Wallet – Get 10% off today —WITH FREE WORLDWIDE SHIPPING— by going to ridgewallet.com/fantasypros. With the second full week of MLB action now underway, Mick Ciallela of Fantrax joins today's show to chat about the top pickups at this early juncture of the season. Is Dansby Swanson (17:18) ready to break out, is Clint Frazier (26:12) this week's top add, and how sustainable is Freddy Peralta's (38:07) impressive production? The show concludes with us tackling a few of your listener mailbag questions (43:49), one of which revolves around Clayton Kershaw's (50:39) trade value and expectations. Sponsors: Pristine Auction - Get the best deals in sports memorabilia including signed baseballs and custom jerseys with guaranteed authenticity. TickPick - TickPick is the fastest, cheapest, and easiest app to use for purchasing tickets to all your favorite events. Use promo code "FPROS15" at checkout to get $15 off an order of $99 or more. Our very own Andrew Seifter hops on with us to go over our opening week thoughts, discuss the major closer battles, and share our favorite early-season pickups with you. How will the Brewers' closer situation shake out (7:05) and is the Mariners' ninth-inning battle (17:56) even worth paying attention to with Hunter Strickland sidelined? The guys dive into the listener mailbag and tackle a few intriguing questions (25:59), like how many IL spots fantasy leagues should have (32:29). Matthew Boyd (43:38) could be at the beginning of a big-time breakout, and while Adam Jones (56:12) may not be exciting, there's little reason he can't bounce back this year. Sponsors: Pristine Auction - Get the best deals in sports memorabilia including signed baseballs and custom jerseys with guaranteed authenticity. TickPick - TickPick is the fastest, cheapest, and easiest app to use for purchasing tickets to all your favorite events. Use promo code "FPROS15" at checkout to get $15 off an order of $99 or more. We're going through all of the major developments from a news-filled weekend, including Daniel Murphy's finger injury and what it might mean for Garrett Hampson, and some big question marks with closing situations in Seattle, Baltimore, and several other spots. We also break down the 2019 debuts from some exciting young pitchers, including Chris Paddack and Corbin Burnes, and tell you whether you should be worried about Yu Darvish's rough start against his former team. Sponsor: ESPN+: Get access to exclusive live sports, shows and more from ESPN PLUS. You'll be able to watch live games from MLB, MLS, and NHL. Start watching today by getting a free 7-day trial over at www.fantasypros.com/espn. We're recapping all the major happenings from a jam-packed Opening Day, including Trea Turner's big day on the basepaths and Zack Greinke's and Chris Sale's worrisome starts. We also discuss some murky closer situations, as well as some young pitchers like Jose Berrios and Luis Castillo who put up big-time performances. Finally, we dig into some interesting Opening Day lineups, and what they might mean for the future. Sponsor: ESPN+: Get access to exclusive live sports, shows and more from ESPN PLUS. You'll be able to watch live games from MLB, MLS, and NHL. Start watching today by getting a free 7-day trial over at www.fantasypros.com/espn. With spring training winding down, we're catching you up on all the latest news from around baseball, including Fernando Tatis Jr. making the Padres' Opening Day roster and Jacob deGrom and Kyle Hendricks receiving contract extensions. We also touch on the recent injury developments, such as Justin Upton beginning the season on the IL with an injured toe, Carlos Correa's sore neck, and Nick Senzel suffering yet another setback in his bid to join the Reds. Finally, we discuss Chris Paddack's downright silly numbers, and whether Francisco Mejia is worth an add. Sponsor: ESPN+: Get access to exclusive live sports, shows and more from ESPN PLUS. You'll be able to watch live games from MLB, MLS, and NHL. Start watching today by getting a free 7-day trial over at www.fantasypros.com/espn. Joe Pisapia, author of the "Fantasy Black Book" series, joins us to give his takes on our bold predictions and share his own. The guys examine where Jose Ramirez (1:08) should be taken in drafts after injuring his leg, and then forecast which MLB teams will make it to the playoffs (15:16) and World Series (32:32). We soon move on to the bold predictions (33:41) and break down the interesting possibilities of Adalberto Mondesi (39:09) stealing more bases than the Royals win games, or Ryan Brazier (44:41) leading the majors in saves. The show finishes off with suggestions of who fantasy owners should draft and stash (52:14), like Brewers prospect Keston Hiura (56:30), who could find his way into the starting lineup before long. Sponsors: TickPick - TickPick is the fastest, cheapest, and easiest app to use for purchasing tickets to all your favorite events. Use promo code "FPROS15" at checkout to get $15 off an order of $99 or more. We get together with Jason Collette, co-host of "The Sleeper and the Bust" podcast, to analyze the latest news and discuss which players have moved the most up and down their rankings. How long will Julio Urias (5:15) stay in the Dodgers' rotation and is Jimmy Nelson (15:32) a stash-worthy option. Is Chris Sale's (35:08 & 39:20) contract extension reassuring for his fantasy value, and how concerned should fantasy owners be about Josh Donaldson's (48:06) health? Sponsors: Pristine Auction - Get the best deals in sports memorabilia including signed baseballs and custom jerseys with guaranteed authenticity. TickPick - TickPick is the fastest, cheapest, and easiest app to use for purchasing tickets to all your favorite events. Use promo code "FPROS15" at checkout to get $15 off an order of $99 or more. Spring Training's Biggest Takeaways (Ep. 142) With the end of spring training approaching, we've brought in Alex Chamberlain from FanGraphs to help us analyze this past month of baseball and see which fantasy nuggets can be drawn from it. Where should Corey Knebel (2:56) be selected in drafts after suffering his elbow injury and can Garrett Hampson (20:50) steal 50 bases this year? Victor Robles (30:24) is being criminally undervalued and Chris Paddack (46:07) absolutely has the talent to live up to the hype. Sponsors: TickPick - TickPick is the fastest, cheapest, and easiest app to use for purchasing tickets to all your favorite events. Use promo code "FPROS15" at checkout to get $15 off an order of $99 or more. Paul Sporer of Rotographs is on with us to dissect some of fantasy baseball's risky athletes and shed a little light on several late-round fliers you should gamble on. How much of a concern is Trevor Story's (7:09) high strikeout rate, why aren't people buying in on Max Muncy (15:03), and is David Dahl (33:48) being overpriced? Ramon Laureano (53:43) is a cheap speedster who has decent pop and Adam Frazier (1:04:56) costs nothing, but can do some serious damage against right-handed pitchers. Sponsors: Pristine Auction - Get the best deals in sports memorabilia including signed baseballs and custom jerseys with guaranteed authenticity. TickPick - TickPick is the fastest, cheapest, and easiest app to use for purchasing tickets to all your favorite events. Use promo code "FPROS15" at checkout to get $15 off an order of $99 or more. For today's show, we've brought along Chris Meaney from The Athletic to help us break down some of fantasy baseball's most valuable sleepers. Paul DeJong (11:47) is a well-rounded hitter who bats cleanup in a talented lineup, Hunter Renfroe's (22:57) power should give him plenty of RBIs, and Shane Bieber (33:04) boasts elite command in a weak division. Could Harrison Bader (42:36) be both an offensive and defensive superstar in the making and is Jimmy Nelson (57:45) primed for a breakout season? It's the peak draft weekend for many around fantasy baseball and Scott White of CBS Sports is on the show to talk about players who are likely going to be busts relative to their cost. We're covering the latest news including Luis Severino's injury timeline and it's fantasy impact (3:23). The first player that makes our bust list is Amed Rosario (10:41). Madison Bumgarner may never be the same pitcher that he once was (26:55). Where does Bryce Harper rank amongst his peers with his health concerns (46:17) and how much will Francisco Lindor's injury hamper him throughout all of 2019 (49:29)? Frank Stampfl, co-host of the Fantasy BFFs, is today's guest as we go over our top overvalued and undervalued players. Vladimir Guerrero Jr. (7:14) may ironically be a better buy thanks to his injury and fantasy owners shouldn't shy away from boring veterans like Robinson Cano (19:56) and Andrew McCutchen (26:40). How much of a steal can Matt Strahm (44:13) be and is Jose Ramirez (50:14) worth his lofty draft price after a poor second half? The season is almost here with the first games starting in less than two weeks. We know fantasy drafts are coming for many of you and for that reason, we've got Steve Gardner of USA Today on the show to help name our top 5 must-have players (2:21). Of course, with must-haves, you probably also want to know who to avoid so we're naming those guys as well (39:55). We start things off with three straight pitchers including Tyler Glasnow (8:20). Reaching for J.T. Realmuto isn't such a bad idea in this catching climate (14:02). Joey Gallo's guaranteed power can't be overlooked (18:33) and Adalberto Mondesi's upside is intriguing, but Steve and Bobby are on the opposite ends of whether he's a must-have or must-avoid (31:05). Listen in as to why Starling Marte could be this year's Christian Yelich (48:39) and why Mallex Smith's speed doesn't warrant his draft price (51:31). Sponsors: Pristine Auction - Get the best deals in sports memorabilia including signed helmets and custom jerseys with guaranteed authenticity. Enter our special giveaway for free for a chance at an Amari Cooper signed Cowboys helmet. Just go to "fantasypros.com/contest" for more information. One of the game's most renowned analysts, Jayson Stark from The Athletic, joins the show to chat about his observations from spring training and potential breakout players heading into this season. Can Tyler O'Neill crack the starting lineup with a strong spring (4:23)? Jack Flaherty (5:42 and 7:53) appears to be an elite pitcher in the making and Marcell Ozuna (18:41) seems poised to take a giant leap forward in 2019. However, does Julio Urias (23:03) still have ace potential and could he be a victim of how the Dodgers handle their pitchers? Lastly, how great is Miguel Cabrera and does he still have something to offer owners in 2019 (26:50)? Jim Sannes from numberFire helps us break down which rookie and sophomore players can provide fantasy owners with a healthy return on investment. Adalberto Mondesi (10:42) may not be cheap, but he certainly appears to be undervalued. Max Muncy's (19:17) talent is worth gambling on despite the playing time concerns, Dan Jansen's (32:14) power and plate discipline are overlooked, and Jesus Luzardo (45:20) can break camp with the A's and produce right away. Christin Stewart (50:46) can rake against righties and should start off high in Detroit's batting order. Sponsors: Pristine Auction - Get the best deals in sports memorabilia including signed baseballs and custom jerseys with guaranteed authenticity. Scott Pianowski from Yahoo! Sports joins the program to help us shine light on some post-hype sleepers you shouldn't get caught snoozing on. Before going neck deep into some of our favorite sleepers, the crew chimes in on baseball's biggest recent news, Bryce Harper (3:32) signing with the Phillies. When is it acceptable to take Carlos Martinez (16:53) and will Jurickson Profar (29:31) continue to improve now that he only has to focus on playing one position? Does Johan Camargo (45:47) have a much clearer path to playing time than many would believe and is Matthew Boyd (51:37) being overlooked primarily because of the Tigers' irrelevance? With spring training now underway, we brought along Justin Mason, who runs The Great Fantasy Baseball Invitational, to take part in our second fantasy baseball mock draft of the year. Justin kicks off our mock with the selection of Mookie Betts (2:58) at second overall, while Bobby takes J.D. Martinez (4:25) fifth overall. What are the odds that Will Smith (33:06) is still in a closer role by midseason, is Garrett Hampson (41:52) going to get significant playing time on the Rockies, and what can we expect from Cedric Mullins (48:34) as Baltimore's leadoff hitter? Tune in 'til the end to find out who ended up with the better squad! The first games of spring training are underway and with drafts creeping up, we're taking the time to look at current ADP values with Joe Pisapia, writer of The Fantasy Black Book. We're counting down our favorite values and giving the lowdown on why you should draft the players mentioned. Is Whit Merrifield actually undervalued (1:59)? Cole Hamels may be older, but he's still got plenty to offer (8:33). Ross Stripling needs to be on your radar, but will he crack the rotation (16:25)? Bobby and Joe aren't in complete agreement with different opinions on Luis Castillo (18:26) and Rich Hill (22:46). To wrap up the show, we've got seven players you should pay attention to this spring (44:11). Which starting pitchers should you target early on and who are the best values deeper in drafts? Mike Podhorzer from RotoGraphs joined us today to help us tackle that very question, but we start off by examining Manny Machado's outlook with the Padres (1:03). Is Blake Snell (13:20) a top-five SP this year or is he bound to regress, and does Shane Bieber (31:41) get far more hype than he deserves? Can Josh James (41:09) become a stud as a rookie if he cracks the rotation, and how sustainable is Freddy Peralta's (56:22) strikeout rate? We've witnessed bounce-backs in baseball and 2019 should be no different. Joining us this episode is Al Melchior of The Athletic and we're naming our top 10 players that should outproduce their 2018 campaign. We start our countdown at No. 10 with Avisail Garcia (1:06) and Jorge Polanco (3:42). Bobby names 10 hitters while Al mixes in a few pitchers into his list. The catching position is so shallow and 2018 may have been the worst-case scenario for Willson Contreras making him an attractive cheaper option (10:38). Billy Hamilton is just one season removed from four straight 50+ stolen bases and his move to Kansas City should help him recover (38:23). FantasyPros correspondent and DraftKings writer, Garion Thorne, is in with us for today's show, where each host lists which 10 players they feel have the highest chance to regress in 2019. Jose Ramirez (10:58) may not live up to the hype, Kenley Jansen's (18:52) age and velocity dip should continue to work against him, and Javier Baez (24:14) might not be worth his current ADP. Christian Yelich (43:44) seems bound to regress to some degree, but how much of last year's production can he sustain this season? Also, Jesus Aguilar's (49:56) extremely disappointing second half doesn't bode well for his future success. The two big names in baseball have yet to sign, but J.T. Realmuto is on the move and we're talking with FantasyPros writer, Dan Harris, on what the catcher's value will be in 2019. News also broke about Francisco Lindor's injury, but how much is his draft stock affected (12:00)? We're running our first mock draft of the season from the 2 and 11 spots (15:43) and the first round kicks off with Mookie Betts and Chris Sale being taken. Despite shortstop being deeper this year, Xander Bogaerts could be worth your early pick (28:21), and if you miss out on a pitcher, find out why Josh James is Bobby's must-have sleeper this year (32:27). Despite struggles and injuries, Dan plans on having shares of Chris Archer (44:47) and Yu Darvish (45:58) in multiple drafts. Find out who has the better mock draft to close the show (57:37). Paul Sporer of Rotographs joins the show to discuss which players you should be watching in dynasty leagues. One of the big questions on people's minds is which clubs are the mystery teams linked to Bryce Harper (2:33), is Jo Adell (21:48) currently being undervalued in dynasty formats, and is Kyle Tucker (29:25) the next best fantasy prospect to hold on to after Vladimir Guerrero Jr.? Shohei Ohtani (37:01) has a chance to get back on the mound in 2020, Freddy Peralta's (48:53) stellar fastball is a huge boon to his value, and it would be a mistake to forget about Franklin Barreto's (1:06:08) potential. Nick Pollack from Pitcher List is on today's show to discuss which players appear to be under or overvalued based on their spot in our rankings. Does Franmil Reyes' (10:44) crazy power justify his current price considering that he may struggle to find playing time, should Juan Soto (19:53) be taken ahead of Alex Bregman, and how much upside does Kyle Freeland (25:08) have pitching at Coors Field? Are people far too high on Chris Archer (39:30) and what exactly is Vladimir Guerrero Jr.'s (45:04) potential in 2019 if he plays a full season? Steve Gardner from USA Today joins the show as we offer insight into which rookies should see fantasy relevance this year and who dynasty leaguers should consider stashing long-term. Vladimir Guerrero Jr. (1:30) is expected to be a real difference-maker in both fantasy and reality this season and Alex Reyes' (20:24) immense talent should get him a spot in the Cardinals rotation. Can Peter Alonso's (26:48) powerful bat get him into the Big Leagues sooner rather than later, what should fantasy owners who decide to stash Forrest Whitley or Fernando Tatis Jr. (38:26) expect from them this season, and would it be surprising for Wander Franco (50:08) to become the league's top prospect in 2020? 2019 is upon us and our very own Dan Harris joins us for our first offseason baseball podcast of the year! We dive into our early fantasy rankings to examine players in new situations. Josh Donaldson (6:51) can produce well in Atlanta, but can he stay healthy and should he be taken over a high-upside player like Vladimir Guerrero Jr. (8:22)? How do Andrew McCutchen (13:45) and Yasiel Puig (15:39) compare, what should we expect from Billy Hamilton (27:47) in Kansas City, and can Charlie Morton (37:24) continue his success after going to Tampa Bay? The crew ends things with some predictions on where top free agents, like Bryce Harper (48:33) and Manny Machado (53:09), may end up. It's been a great season, but it's not over yet. We've got Paul Sporer of RotoGraphs joining us on the show to chat about a few recent news items including Luis Urias's promotion (2:42) and Trevor Bauer's health (5:43). Like most at this time of the year, who you pick up depends on your team's situation, but we're discussing some popular names out there that have been hot as of late (e.g. Melky Cabrera - 9:20), as well as some youngsters who are getting their opportunities like Billy McKinney (13:49) and Tyler White (20:14). Despite it being late in the season, we like a couple pitchers who should be available on waivers (23:10). Find out why you should pick up Jace Fry (31:19), who the next Jose Ramirez could be (36:34), and whether you should trust your slumping veterans during these final weeks (45:41) as we answer mailbag questions (36:20). Eno Sarris from The Athletic joins us to share his thoughts on us how Daniel Murphy will fit in with the Cubs (4:33) and which teams can come out on top in the MLB playoff hunt (11:47). With the fantasy playoffs also coming soon, Bobby and Eno also discuss which fantasy free agents can push you to the playoffs or help your title chances. Nick Williams is showing a lot of promise (17:31), but is Luis Castillo's strikeout potential worth taking a chance on, or will he end up disappointing you (20:22)? We finish off the show by answering your listener mailbag questions (29:42), two of which ask about how highly we should value Kris Bryant (33:19) and Mike Trout (35:38) in dynasty leagues. It's crunch time for many of you who are still actively competing in your fantasy baseball leagues and as we reach these final weeks, there are a handful of topics to discuss. Steve Gardner of USA Today joins us on the show to chat about the current crop of prospects and what we're witnessing in Ronald Acuna (1:16), Juan Soto (3:09), and what we're waiting for with Vlad Guerrero Jr., Eloy Jimenez (4:11) and Michael Kopech (10:06). We then shift gears to name our favorite waiver pickups including a trio of youngsters in Willy Adames (16:28), Harrison Bader (19:11) and David Dahl (20:56) before jumping to pitchers (25:13). To end the show, we're providing answers to some tough decisions on whether it's time to move on from some big names such as Adrian Beltre (35:32), Tommy Pham (36:00), Adam Eaton (37:23), Jon Lester (40:28), and Chris Archer (41:14). We're back with guest Mike Podhorzer of RotoGraphs to catch up on all the latest news and performances around the league since our last show. Robert Stephenson was called back up (3:03), Eloy Jimenez is supposedly nearing a call-up (5:33), Rougned Odor may have finally figured it out (8:03), and Matt Carpenter is somehow an MVP candidate (11:18). There's a lot to discuss including hitters worth adding that should be available in your league (17:54) and which available pitchers are quality adds versus streaming options (31:41). If you're wondering if it's time to drop one of your struggling bigger names, listen in as we run through a list of players that many owners may have to move on from (43:52). With 4th of July in the rearview and the second-half of baseball in front of us, Paul Sporer of RotoGraphs came on our show to discuss all the pertinent fantasy topics including whether or not it's time to move on from Yu Darvish (1:47). And with the trade deadline looming, we're chatting about potential landing spots for Manny Machado (4:12) and if Bryce Harper could be moved this season (36:24). Of course, it's also only right for us to give Max Muncy some love (10:33) and discuss J.D. Martinez's MVP standing (13:56). We've got lots to cover so listen in as we name our favorite hitters (17:32) and pitchers (27:04) to pick up before wrapping things up by answering your listener mailbag questions (36:10). Sponsor: DRAFT.com/pros - Use the DRAFT.com app where you can play in one-week snake drafts for real money. The drafts literally take only a few minutes to complete and if you pick a great team, you'll win cash prizes. Love DRAFT or get your money back (up to $100). Join now at DRAFT.com/pros and you'll get a free entry into a $3 draft. With 13 weeks of baseball complete, Justin Mason joins us to discuss the latest news that transpired during the week including Sandy Alcantara's call-up (8:06) and the latest in baseball innovation (9:31). Bobby and Justin are also chatting about Mike Trout's season and how it's being wasted with the Angels (14:24). If you're in need of waiver wire help, get our thoughts on hitters like Enrique Hernandez (18:19), Jason Kipnis (19:09), Randall Grichuk (23:38) and many more along with pitchers such as Mike Minor (35:13), Ervin Santana (39:28) and a trio of Giants (40:32). Listen in as we answer your questions from the mailbag to close out the show (46:57). Sponsor: DRAFT.com/pros - Use the DRAFT.com app where you can play in one-week snake drafts for real money. The drafts literally take only a few minutes to complete and if you pick a great team, you'll win cash prizes. Love DRAFT or get your money back (up to $100). Join now at DRAFT.com/pros and you'll get a free entry into a $3 draft. Joining us to wrap up the week and help you improve your team is Brandon Warne of Zone Coverage. To get started, we're talking about the latest news and happenings around the league including the Royals closer situation (2:17), Michael Wacha's oblique (5:51), and Madison Bumgarner's latest outing (7:39). We're also discussing Andrelton Simmons's breakout (9:11) which leads us into everyone's favorite midseason topic, the waiver wire (12:24). The first hitter we're covering is Jon Jay, but listen in as you'll want to hear why Jorje Polanco needs to be on your add list today (17:05). If you're in need of pitching help, we're covering multiple players that should be available in your league from Michael Kopech (26:29) to Matt Strahm (29:32). Listen all the way through the show as we wrap up with a lightning round of who to keep or drop (40:44). Sponsor: DRAFT.com/pros: Use the DRAFT.com app where you can play in one-week snake drafts for real money. The drafts literally take only a few minutes to complete and if you pick a great team, you'll win cash prizes. Love DRAFT or get your money back (up to $100). Join now at DRAFT.com/pros and you'll get a free entry into a $3 draft. FantasyPros expert Dan Marcus joins host Bobby Sylvester to discuss some fantasy free agents, but first, the duo breaks down major injury news surrounding some big name players, like Miguel Cabrera (1:08), Shohei Ohtani (2:12), and Stephen Strasburg (5:25). Once we jump to free agents, our guys take a stab at deciding if there's still any reason to believe in Scott Kingery becoming an impactful player this season (13:25), analyzing how Daniel Descalaco suddenly became a power hitter (20:34), and projecting what fantasy owners can expect from Freddy Peralta now that he's been called back up (32:30). We then conclude the show by tackling a few very interesting Listener Mailbag questions (33:18). Sponsors: DRAFT.com/pros - Use the DRAFT.com app where you can play in one-week snake drafts for real money. The drafts literally take only a few minutes to complete and if you pick a great team, you'll win cash prizes. Love DRAFT or get your money back (up to $100). Join now at DRAFT.com/pros and you'll get a free entry into a $3 draft. Bobby is joined by fellow FantasyPros expert Dan Harris to go over the latest MLB news, like Alex Reyes being done for the season (3:59), Ross Stripling's unbelievable May (9:27), the Rays calling up 1B Jake Bauers (13:14), and Kyle Barraclough stealing the Marlins closer job (17:57). The duo also analyzes a slew of waiver wire options to give you the skinny on whether you should pick up powerful mashers Max Muncy (27:29) and Daniel Palka (28:53), among others, and they also attempt to predict when Tyler Glasnow might get a chance in the rotation (24:23). The guys later answer your Listener Mailbag questions (40:13), which feature some intriguing MLB Draft topics, like who are Bobby's and Dan's favorite dynasty players from this MLB Draft class (47:00) and which teams had the best draft (55:35). Sponsors: DRAFT.com/pros - Use the DRAFT.com app where you can play in one-week snake drafts for real money. The drafts literally take only a few minutes to complete and if you pick a great team, you'll win cash prizes. Love DRAFT or get your money back (up to $100). Join now at DRAFT.com/pros and you'll get a free entry into a $3 draft. Bobby is joined by the 2015 FSTA Baseball Writer of the Year, RotoGraphs' very own Mike Podhorzor, to discuss the latest news around the league and which players on the waiver wire fantasy owners should consider scooping up or leaving alone. The guys first share their thoughts on whether Anthony Rizzo's slide was just good baseball or had malicious intent (8:20) before delving into some pressing fantasy baseball questions. A few of the more important topics we try to tackle are whether Jonny Venters is the closer to own in Tampa Bay (10:03), if Gorkys Hernandez's power is a fluke or for real (19:32), whether Austin Meadows can stick around in the majors and become a viable fantasy option (25:20), predict just how good will Alex Reyes be this season (33:48), and project what fantasy owners should expect from call-up Shane Bieber (35:27)? To close, Bobby and Mike team up to answer your Listener Mailbag questions (41:10). Sponsors: DRAFT.com/pros - Use the DRAFT.com app where you can play in one-week snake drafts for real money. The drafts literally take only a few minutes to complete and if you pick a great team, you'll win cash prizes. Love DRAFT or get your money back (up to $100). Join now at DRAFT.com/pros and you'll get a free entry into a $3 draft. Al Melchior, host of the Fantasy Baseball Hour on the FNTSY Sports Radio Network and writer for Fangraphs and Fantrax, joins us today to discuss a plethora of waiver pickups and examine expectations for a few top prospects. Some of the many questions Bobby and Al answer are who they would prefer to own between Jack Flaherty, Alex Reyes, and Zach Britton (10:05), whether Tyler O'Neill (21:35) has a shot at receiving regular playing time, and which unowned catchers are good stopgap options for Welington Castillo owners (42:53). We also spend time predicting when Vladimir Guerrero Jr. (16:49) will finally get called up, share our thoughts on recent Pirates' call-up, Austin Meadows (26:53), and figure out if Willy Adames (39:20) has been called up for good, or is just having a cup of coffee in the majors. To conclude, the duo digs into the Listener Mailbag (44:20) to answer your questions. Sponsor: FantasyPros.com/offer - Use the DRAFT.com app where you can play in one-week snake drafts for real money. The drafts literally take only a few minutes to complete and if you pick a great team, you'll win cash prizes. New users at DRAFT will get a FREE 6 month upgrade to FantasyPros at our highest tier. Just use our special link to make your first deposit of $10 to get your instant upgrade. Today we are joined by Eno Sarris from The Athletic to help us break down the Juan Soto call-up (0:48), examine whether Alex Reyes will rejoin the rotation once he returns (8:04), and deduce when Robbie Ray might come back from his injury (21:47). We also cover whether Blake Parker (27:11) owns the Angels' closer job, Jordan Hicks' (15:36) incredible fastball, and if Josh Hader (31:41) has any realistic shot at the Cy Young Award. We then finish up by answering your listener mailbag questions (35:26). Sponsor: FantasyPros.com/offer - Use the DRAFT.com app where you can play in one-week snake drafts for real money. The drafts literally take only a few minutes to complete and if you pick a great team, you'll win cash prizes. New users at DRAFT will get a FREE 6 month upgrade to FantasyPros at our highest tier. Just use our special link to make your first deposit of $10 to get your instant upgrade. Jason Collette from ESPN, Rotowire, and FanGraphs joins us to chat about which players fantasy owners should be on the prowl for when searching through waivers. Jedd Gyorko's (10:32) performance so far seems legitimate, Franchy Cordero's (26:08) power and speed can't be ignored, Nick Pivetta (41:39) is showing stud-potential, and we're mentioning a trio of Cardinals hurlers who have had early success (46:11). We also went over numerous injury updates, like how the Cardinals may plan on responding to A.J. Pollock's (1:10) thumb injury, as well as an exciting hypothetical trade involving Trevor Story and Manny Machado (13:44). Sponsor: FantasyPros.com/offer - Use the DRAFT.com app where you can play in one-week snake drafts for real money. The drafts literally take only a few minutes to complete and if you pick a great team, you'll win cash prizes. New users at DRAFT will get a FREE 6 month upgrade to FantasyPros at our highest tier. Just use our special link to make your first deposit of $10 to get your instant upgrade. There are a handful of things to discuss with the latest events around the league and joining us to do so is Jake Ciely of RotoExperts. Roberto Osuna may be out for the long haul (1:24), Keynan Middleton has major elbow issues (21:13), and Hector Nerris is on shaky ground (22:52) making the closer landscape a bit fuzzy for all three teams. There were also a pair of intriguing call-ups with Franmil Reyes (13:22) and Freddy Peralta (16:20) that have owners wondering what to expect. Lastly, we're answering your mailbag questions so listen up to see if your question made it onto the show (18:54). Sponsor: FantasyPros.com/offer - Use the DRAFT.com app where you can play in one-week snake drafts for real money. The drafts literally take only a few minutes to complete and if you pick a great team, you'll win cash prizes. New users at DRAFT will get a FREE 6 month upgrade to FantasyPros at our highest tier. Just use our special link to make your first deposit of $10 to get your instant upgrade. We're in week six of the fantasy season, but there are a surprising number of useful players still readily available on the waiver wire. Derek Carty, creator of The Bat projections, is joining us to talk about the latest news such as Yadier Molina's injury (1:53), Johnny Cueto's arm (3:06), Clayton Kershaw's tendinitis (4:06), and Matt Harvey's demotion (5:22). We're also covering which players on the DL you should be stashing right now (10:12), before moving onto which pitchers (22:51) and hitters (37:16) should be on your radar. Sponsor: FantasyPros.com/offer - Use the DRAFT.com app where you can play in one-week snake drafts for real money. The drafts literally take only a few minutes to complete and if you pick a great team, you'll win cash prizes. New users at DRAFT will get a FREE 6 month upgrade to FantasyPros at our highest tier. Just use our special link to make your first deposit of $10 to get your instant upgrade. Ichiro is calling it a career and it's been a great one (2:31). Joining us this episode is FantasyPros writer, Dan Harris, and we've got a lot to discuss including Corey Seager's season-ending injury (5:39), Walker Buehler's upside (9:23), what to make of the Angels' closer situation (11:50), how long Robbie Ray may be out (13:58), and interesting prospect call-ups in Kingham and Soroka.These are just a few things we're discussing before we move onto our favorite buy-low and sell-high targets (33:48). We're also answering questions from the mailbag so be sure to listen up to see if your's made it on the show (49:14). Sponsor: FantasyPros.com/offer - Use the DRAFT.com app where you can play in one-week snake drafts for real money. The drafts literally take only a few minutes to complete and if you pick a great team, you'll win cash prizes. New users at DRAFT will get a FREE 6 month upgrade to FantasyPros at our highest tier. Just use our special link to make your first deposit of $10 to get your instant upgrade. Ronald Acuna is getting his shot to live up to the hype and Paul Sporer of FanGraphs is joining us to tell us what we can realistically expect from the No. 1 prospect (3:23). As the title says, we're also covering the waiver wire as we touch on over 20 hitters and pitchers including Domingo Santana (15:51), a pari of Padres in Manny Margot and Franchy Cordero (18:00), a pair of speedsters in Delino DeShields and Mallex Smith (21:44), Danny Salazar (44:38), and Trevor Cahill (55:05) to name a few. Sponsor: FantasyPros.com/offer - Use the DRAFT.com app where you can play in one-week snake drafts for real money. The drafts literally take only a few minutes to complete and if you pick a great team, you'll win cash prizes. New users at DRAFT will get a FREE 6 month upgrade to FantasyPros at our highest tier. Just use our special link to make your first deposit of $10 to get your instant upgrade. Sean Manaea threw a no-hitter (3:10), Gleyber Torres got called up (5:30), and the Red Sox (18:56) and Astros (21:16) are still electric after three weeks of baseball. More importantly, we've got Jim Sannes of numberFire joining us to talk about all the latest news like Manaea's hot start to the season, what to make of the prospect call-ups like David Dahl (8:21), Walker Buehler (11:21), and Jack Flaherty's (14:16), and then we're answering your listener mailbag questions (32:18). Sponsor: FantasyPros.com/offer - Use the DRAFT.com app where you can play in one-week snake drafts for real money. The drafts literally take only a few minutes to complete and if you pick a great team, you'll win cash prizes. New users at DRAFT will get a FREE 6 month upgrade to FantasyPros at our highest tier. Just use our special link to make your first deposit of $10 to get your instant upgrade. It's episode 105 and we're covering all the latest injuries including Taijuan Walker's surgery (1:32), Shohei Ohtani's blister (9:37), and Byron Buxton's migraines (11:04). We've got 16 hitters and pitchers to discuss that are worth picking up. Joining us in this episode to chat is Chris Meaney, host of FNTSY Sports Network and FNTSY Sports Radio. We're starting with 8 hitters (14:08) before moving onto 8 pitchers (28:23). Make sure to listen all the way through as we wrap up the show discussing players who are on the border of keeping versus dropping (41:56). Sponsor: FantasyPros.com/offer - Use the DRAFT.com app where you can play in one-week snake drafts for real money. The drafts literally take only a few minutes to complete and if you pick a great team, you'll win cash prizes. New users at DRAFT will get a FREE 6 month upgrade to FantasyPros at our highest tier. Just use our special link to make your first deposit of $10 to get your instant upgrade. We've got a buy low, sell high episode for you and Brandon Warne of Zone Coverage Minnesota is joining us to discuss our favorite trade candidates. We're starting with pitchers to target as buy low options such as Jose Quintana (14:43), Marcus Stroman (15:49) and Chris Archer (19:47). Listen in as to why you should also be targeting hitters such as Trea Turner (29:02), Byron Buxton, or Yoan Moncada (29:55). If you're more interested in who you should sell high, we're breaking that down by pitchers (36:03) and hitters (46:48) as well. Sponsor: FantasyPros.com/offer - Use the DRAFT.com app where you can play in one-week snake drafts for real money. The drafts literally take only a few minutes to complete and if you pick a great team, you'll win cash prizes. New users at DRAFT will get a FREE 6 month upgrade to FantasyPros at our highest tier. Just use our special link to make your first deposit of $10 to get your instant upgrade. With the second week of baseball nearly complete and injuries already taking a toll, we're chatting with Dalton Del Don of Yahoo! Sports to help you navigate the waiver wire as well discuss what to make of a few breakouts and slumps. We're covering Elvis Andrus (3:01), catcher replacements for Travis d'Arnaud (4:51), hot pitchers on the wire like Joey Lucchesi (8:49), Yonny Chirinos (10:49), and Nick Pivetta (12:53). Naturally, we're discussing hitters to consider picking up as well like Jed Lowrie (19:05), Yangervis Solarte (20:02), Nick Senzel (20:59), and many others. We're wrapping the show up with closers who could lose their job soon and who you should stash (35:26). Sponsor: FantasyPros.com/offer - Use the DRAFT.com app where you can play in one-week snake drafts for real money. The drafts literally take only a few minutes to complete and if you pick a great team, you'll win cash prizes. New users at DRAFT will get a FREE 6 month upgrade to FantasyPros at our highest tier. Just use our special link to make your first deposit of $10 to get your instant upgrade. It's early in the season and often times, that's when there are a ton of questions whether you're new to the game or an experienced fantasy player. With the first week complete, we've got a special guest on the show, our very own NFL expert Mike Tagliere, who is just as new to fantasy baseball as many of our listeners. Chances are, we're answering questions you may have yourself (2:59). Get Bobby's thoughts on Shohei Ohtani (14:41), what would be different if we were drafting today (22:08), when it's okay to begin panicking on a player (24:25), which pitcher's early success is real (43:56), plus a bunch of other topics. Sponsor: DRAFT.com - One of the best parts of playing fantasy is the draft. DRAFT lets your run FAST snake drafts every day of the week for cash. Use our special link -- www.fantasypros.com/offer -- to get a free money back guarantee up to $100 when you play! Available on iOS and Android. It's been a busy first week of baseball and there's plenty to discuss with FantasyPros analyst, Dan Harris. We're kicking things off with the latest injuries and signings including Greg Holland (2:16) and Corey Knebel (5:38). Find out why Jack Flaherty (10:28) is a must-add right now and what our thoughts are on Michael Conforto's return (12:23). More importantly, we're answering a bunch of your questions from our listener mailbag including what to make of Kenley Jansen (21:09), Ohtani's hot start (23:31), and Arizona's humidor (30:25) for starters. Of course, we've got waiver wire talk too so find out why we love as adds including keeping an eye on Willie Calhoun (39:54), Michael Brantley (42:38), Jake Junis (45:04), Tyler Mahle (46:18), and Tyler Skaggs (47:16) to name a few. Sponsor: DraftKings.com - Play one-day fantasy baseball today. Build a new team any way you'd like and take a swing at real cash prizes. Use our promo code "PROS" for a free entry into a contest now. The season is upon us and we've got a full rundown for Opening Day FanDuel players. There are a lot of names to cover so we've got Dan Harris, featured writer at FantasyPros joining us to discuss our favorite plays at each position for cash and tournament games. We're starting things off at the most expensive position at pitcher and despite there being multiple aces, listen in to why Chris Sale should be in your lineups (5:12). If you're searching for some upside GPP plays, consider Chase Anderson (14:00) or Patrick Corbin (15:05). There are too many players to list, but we're naming our top two locks to wrap up the show if you're trying to figure out who to build your lineup around (1:03:42). Sponsor: FanDuel.com - Play in our Opening Day daily fantasy contest at FanDuel for your chance to win cash and a lifetime subscription to FantasyPros. Use our special link today at fantasypros.com/contest to enter. We're days away from the season starting and if you're still preparing for your draft, we've got Derek Carty of RotoGrinders here to help provide advice. We're running through a handful of players that we feel are over and undervalued. Find out what we like and dislike about Zack Greinke (1:00), why Derek is really high on Justin Verlander (2:08), why we love Jose Quintana (6:00), and why Giancarlo Stanton deserves to be the #2 pick in fantasy drafts (20:10). We're also discussing a pair of catchers (33:49), Jake Lamb (36:34), Delino DeShields (37:28a), and many other players. Sponsor: FantasyPros.com/offer - Use DRAFT.com where you can play in one-week snake drafts for real money. The drafts literally take only a few minutes to complete and if you pick a great team, you'll win cash prizes. New users at DRAFT will get a FREE 6 month upgrade to FantasyPros at our highest tier. Just use our special link to make your first deposit of $10 to get your instant upgrade. One of the most fun things to do is make bold fantasy predictions and we asked our good friend Jim Sannes of numberFire to join us in doing so. Before we get bold though, we're answering some of your questions from our mailbag. Get our thoughts on Mariners first baseman Dan Vogelbach (3:31), which players we find ourselves drafting a lot (6:12), and who our early World Series picks are (11:01). Then we're giving our top five bold prediction countdown with Jim kicking things off about Ozzie Albies (20:05), Bobby making a bold claim about Trea Turner (22:56), and then we discuss other players like Greg Bird (27:09), Zack Godley (29:38), Miguel Sano (32:57), Lucas Giolito (35:03), Mike Clevinger (39:34), Joey Gallo (41:36), and Miguel Cabrera (46:37). Sponsor: FanDuel.com - Play in our Opening Day daily fantasy contest at FanDuel for your chance to win cash and a lifetime subscription to FantasyPros. Use our special link today at fantasypros.com/contest to enter. We're talking players to stash with Steve Gardner of USA Today and this episode is packed with goodies, but before getting into that, we're discussing Jorge Polanco's suspension (2:15), Justin Turner's wrist (4:31), and Daniel Murphy's knee (6:08). As you plan for your draft, listen in as we discuss stash candidates in Michael Conforto (17:11), Danny Salazar (20:40), Ryan McMahon (27:33), Gleyber Torres (31:49), Nick Senzel (34:08), among many others. Sponsor: FanDuel.com - Play in our Opening Day daily fantasy contest at FanDuel for your chance to win cash and a lifetime subscription to FantasyPros. Use our special link today at fantasypros.com/contest to enter. We're back with another episode and this time we're covering all the mid-round sleepers, busts, and potential breakout players. Joining us is Jared Kwart of Fantasy Cruncher. Listen in as we each name our top three players in each of the categories mentioned. We're starting the show off with mid-round steals (3:37) before Bobby and Jared disagree on whether Elvis Andrus is a steal or bust (24:28). If you're interested in breakout players, find out why Greg Bird (44:57) or Nomar Mazara (50:32) should be on your watch list. Sponsors: DRAFT.com - Play in one-week snake drafts for real money. The drafts literally take only a few minutes to complete and if you pick a great team, you'll win cash prizes. New users at DRAFT will get a FREE 6 month upgrade to FantasyPros at our highest tier. Just use our special link -- FantasyPros.com/offer -- to make your first deposit of $10 to get your instant upgrade. Fathead.com - Fathead is the leader in authentic, officially licensed life-size wall graphics. Get your favorite athlete, character or logo for your wall to personalize your space. You can get 10% off your purchase by going to Fathead.com and using promo code "FANTASYPRO". Drafts are around the corner and when the time comes, you'll inevitably be faced with some tough decisions. Joining us to chat about some of those choices is one of the most accurate experts in the industry each year, Jake Ciely of RotoExperts. Listen in as we touch on players you might consider drafting that carry increased risk such as Aaron Judge (6:26), Byron Buxton (10:27), Masahiro Tanaka (14:29), David Price (20:47), and Trevor Story (22:26) to name a few. We're also naming players that are worth gambling on at the end of your drafts like Ryan McMahon (38:00), Matt Harvey (44:48), or Tyler Glasnow (47:38). Sponsors: DRAFT.com - Play in one-week snake drafts for real money. The drafts literally take only a few minutes to complete and if you pick a great team, you'll win cash prizes. New users at DRAFT will get a FREE 6 month upgrade to FantasyPros at our highest tier. Just use our special link -- FantasyPros.com/offer -- to make your first deposit of $10 to get your instant upgrade. Fathead.com - Fathead is the leader in authentic, officially licensed life-size wall graphics. Get your favorite athlete, character or logo for your wall to personalize your space. You can get 10% off your purchase by going to Fathead.com and using promo code "FANTASYPRO". We're kicking off the week with a mock draft and this time, we're starting from the middle picks at 5 and 7. Joining us for some fun is FantasyPros writer Chris Bragg. As with any draft, practice makes better and with the season approaching quickly, it's best to get an idea of how each draft might shake out. Before we get into the picks (10:19), there have finally been some more free agent signings. Naturally, we're discussing Jake Arrieta's new team (1:57), Lance Lynn's one-year deal (4:19), Jonathan Lucroy joining the A's (5:40), and Neil Walker adding to the Yankees' already strong team (7:35). We then go pick-by-pick explaining our rationale. Find out how Bobby and Chris end up going two different directions with strategy. Sponsors: DRAFT.com - Play in one-week snake drafts for real money. The drafts literally take only a few minutes to complete and if you pick a great team, you'll win cash prizes. New users at DRAFT will get a FREE 6 month upgrade to FantasyPros at our highest tier. Just use our special link -- FantasyPros.com/offer -- to make your first deposit of $10 to get your instant upgrade. Fathead.com - Fathead is the leader in authentic, officially licensed life-size wall graphics. Get your favorite athlete, character or logo for your wall to personalize your space. You can get 10% off your purchase by going to Fathead.com and using promo code "FANTASYPRO". We've got everyone's favorite episode and joining us to chat sleepers is Eno Sarris of The Athletic. Eno's out in Arizona keeping his ears to the ground during spring training so we'll be chatting about what he personally looks for when it comes to pitchers (11:19) as well as his thoughts on Zack Greinke's dip in velocity (37:50) and Madison Bumgarner's outlook (48:26). First things first though, we're counting down our top five favorite sleepers (6:29) with Eno kicking things off and telling us about Andrew Heaney, while Bobby discusses Danny Salazar (8:49). Sponsors: FantasyPros.com/offer - Use the DRAFT.com app where you can play in one-week snake drafts for real money. The drafts literally take only a few minutes to complete and if you pick a great team, you'll win cash prizes. New users at DRAFT will get a FREE 6 month upgrade to FantasyPros at our highest tier. Just use our special link to make your first deposit of $10 to get your instant upgrade. Fathead.com - Fathead is the leader in authentic, officially licensed life-size wall graphics. Get your favorite athlete, character or logo for your wall to personalize your space. You can get 10% off your purchase by going to Fathead.com and using promo code "FANTASYPRO". Mock drafting is one of the best ways to prepare for a draft so we're running through a mock of our own with Justin Mason of FanGraphs. We'll be drafting from the first and second picks and just like a real draft, the timer to make a decision can go by fast so listen up as we give our initial thoughts on the players (4:32) before we dive deeper into how we attempted to construct our teams (22:29). Sponsor: FantasyPros.com/offer - Use DRAFT.com where you can play in one-week snake drafts for real money. The drafts literally take only a few minutes to complete and if you pick a great team, you'll win cash prizes. New users at DRAFT will get a FREE 6 month upgrade to FantasyPros at our highest tier. Just use our special link to make your first deposit of $10 to get your instant upgrade. We’ve got a player packed episode for you as we run through all the different tiers of pitchers that you’ll be looking at come draft day. Joining us to chat in this episode is Garion Thorne of FNTSY Sports Network. We’re starting off discussing the big four at the top of drafts (5:34) and why we don’t like Clayton Kershaw as the top pitcher in this group (8:11). We’re then moving on to the second tier as we talk about Zack Greinke (14:37), Stephen Strasburg (17:13), Luis Severino (20:20) to name a few. If you’re curious on who to take in the next tier after that, get our thoughts on Chris Archer (25:56), Yu Darvish (27:21), Aaron Nola (30:52), among many others who are being drafted around that time. There are far too many players to list so listen in now. Sponsor: FantasyPros.com/offer - Use this great app where you can play in one-week snake drafts for real money. The drafts literally take only a few minutes to complete and if you pick a great team, you'll win cash prizes. New users at DRAFT will get a FREE 6 month upgrade to FantasyPros at our highest tier. Just use our special link to make your first deposit of $10 to get your instant upgrade. It’s time to check out player values based on Average Draft Position (ADP) and we’ve got George Bissell of Baseball Prospectus joining us to name the most over and undervalued players right now. We’re covering a whole lot in this show including the Steven Souza trade and its impact (1:13), who’s more valuable right now between Ronald Acuna and Victor Robles (13:34), and why J.D. Martinez is should be going just as high as Giancarlo Stanton (16:37). Find out who our top 3 most overdrafted guys are (27:46) such as Alex Wood (29:03), before we move onto our most underdrafted players (36:45) like Alex Bregman (39:16). Sponsor: www.AudibleTrial.com/fantasypros -- Audible has over 180,000 titles to choose from in every genre: thrillers, business, romance, comedy, sci-fi and more. Audible titles play on iPhone, Kindle, Android and more than 500 devices for listening anytime, anywhere. It’s always a special show when Paul Sporer of Fangraphs comes on and this episode is no different. We’re mock drafting the first three rounds and talking about all the players that you’ll be coming across in your draft. There was also big news that came across the ticker with J.D. Martinez signing with the Red Sox (0:42). Get our thoughts on the Red Sox/Yankees (6:24), the Eric Hosmer signing (14:16), whether Trea Turner belongs in the top 3 (20:02), if Clayton Kershaw is our top pitcher off the board (26:13), and how our second (35:35) and third rounds turn out (47:34). Sponsor: www.AudibleTrial.com/fantasypros -- Audible has over 180,000 titles to choose from in every genre: thrillers, business, romance, comedy, sci-fi and more. Audible titles play on iPhone, Kindle, Android and more than 500 devices for listening anytime, anywhere. It’s time to chat about Spring Training and here to talk about all things fantasy baseball is Scott White of CBS Sports. With the recent news coming from the Diamondbacks about using a humidor, we’re first discussing its impact on the players there and in particular, A.J. Pollock (2:46) and Paul Goldschmidt (3:59). We’re then answering your questions about what fantasy owners can take away from spring baseball including youngsters to watch in Ronald Acuna (6:07), Victor Robles (7:57) and Francisco Mejia (8:34). Scott’s also answering questions about his rankings and why he’s higher or lower compared to the consensus in regards to players like Buster Posey (21:28), Matt Carpenter (26:07), Starling Marte (31:16), Dylan Bundy (35:19), and Ian Happ (36:59) just to name a few. With players reporting to Spring Training, baseball is finally back! We've got a great episode covering the Yu Darvish signing (1:49) and potential bounce-back candidates for 2018 (7:12). We're starting at the high end with the likes of Mookie Betts (8:10) and Madison Bumgarner (9:11) before discussing Starling Marte (17:35), Trevor Story (21:28), Xander Bogaerts (25:20), Yoenis Cespedes (29:54), Ian Desmond (35:47), David Price (47:21), Johnny Cueto (51:35), and many others. We've got special guest Ron Shandler hopping on the show to give his takes on players that surprised us in 2017. It's easy for recency bias to take place, so make sure to get our thoughts on guys like Elvis Andrus (2:34), Ryan Zimmerman (5:18), Whit Merrifield (8:23), Chris Taylor (8:45), Corey Knebel (14:50), Felipe Rivero (15:42), Chase Anderson (19:56), Alex Wood (22:41), along with a handful of other players who you might not be sure about. Sponsor: www.AudibleTrial.com/fantasypros -- Audible has over 180,000 titles to choose from in every genre: thrillers, business, romance, comedy, sci-fi and more. Audible titles play on iPhone, Kindle, Android and more than 500 devices for listening anytime, anywhere. We’re back and joining us this episode is Jim Sannes of numberFire.com to chat about the sophomore class in 2018. People often think of the sophomore slump as a reason to avoid certain players, but this class could be special and different. Before we get into those players, we’re quickly discussing the Seung-Hwan Oh signing and the busy bullpen in Texas (1:40). If you want to hear about the youngsters, we’ve got you covered as we chat about Aaron Judge (8:57), Matt Olson (12:54), Rhys Hoskins (12:54), Cody Bellinger (15:33), Yoan Moncada (22:43), and a handful of pitchers (34:01). Sponsor: www.AudibleTrial.com/fantasypros -- Audible has over 180,000 titles to choose from in every genre: thrillers, business, romance, comedy, sci-fi and more. Audible titles play on iPhone, Kindle, Android and more than 500 devices for listening anytime, anywhere. Guest Brandon Warne of The Athletic joins us to take an early dive into the expert consensus rankings. First, we digest the Christian Yelich trade and fantasy implications (0:40). We also explain why Alex Avila is all of a sudden a favorite sleeper of ours (8:30). As we go through the rankings, we each explain which players we think are too high or too low at this point. Players discussed include Clayton Kershaw (11:10), Bryce Harper (12:33), Noah Syndergaard (17:23), Gary Sanchez (28:41) among many others. Steve Gardner of USA Today joins us for a show dedicated entirely to dynasty fantasy baseball leagues. We're answering questions from the listener mailbag (2:27) about general strategy, 2019's top prospects (8:47), the top rookies (11:46), a few busts from last year's rookie class (17:50), and future shutdown closers (22:57). In the second half of the show, we count down the three dynasty assets you should try to acquire (25:57)before we each give one name to avoid or sell high on (38:41). Brandon Warne of The Athletic joins Bobby Sylvester to discuss the Winter Meetings and their fantasy implications as the two tackle a dozen questions from the Listener Mailbag. They start (1:06) by addressing the new fantasy values of recently acquired players, Giancarlo Stanton and Evan Longoria before eventually diving into discussions on Marcell Ozuna and Shohei Otani. Later (5:54), they discuss potential trades and the impact on the fantasy status of Gerrit Cole, Manny Machado and a trio of stars who may get traded in the coming months. Brandon and Bobby also touch on the Marlins' decimating their ball club (18:09), the top remaining free agents (27:18) and whether or not Barry Bonds belongs in the Hall of Fame (36:07). After a few months away, the FantasyPros Baseball Podcast is back with Bobby Sylvester and FantasyPros' Featured Writer, Dan Harris. The pair chats about the World Series and Winter Meetings (1:17) before answering some questions from the listener mailbag (19:28) including whether Aaron Judge and Cody Bellinger are among the best rookies of all time and who their favorite early sleepers are. The show ends with Dan challenging Bobby to some trivia (39:23). Today's guest, Dan Harris and host, Bobby Sylvester jump right into the meat and potatoes to talk about replacing Billy Hamilton (1:11) and other waiver wire options including Victor Robles and Matt Olson (3:00). They jump into some trivia (13:11) where Bobby showcases his impossible knowledge on some historical details, then the pair closes with some of the most entertaining listener mailbag questions of the season about an all MLB fantasy football team (25:50) and current players who could end up historical greats (32:53). Sponsor: www.AudibleTrial.com/fantasypros -- Audible has over 180,000 titles to choose from in every genre: thrillers, business, romance, comedy, sci-fi and more. Audible titles play on iPhone, Kindle, Android and more than 500 devices for listening anytime, anywhere. FantasyPros featured writer, Chris Bragg and host, Bobby Sylvester discuss the home run streaks of Stanton and Hoskins (0:35) before talking about the implications of all the stars returning from injury and two near no-hitters (4:07). The duo moves over to the waiver wire to discuss Luis Valbuena, Kyle Barraclough and a few prospects who should get called up in September (11:06). Finally, they answer some great questions from the listener mailbag about if Giancarlo Stanton were on the Rockies and the World Series odds of some surprise playoff contenders (18:45). Sponsor: www.AudibleTrial.com/fantasypros -- Audible has over 180,000 titles to choose from in every genre: thrillers, business, romance, comedy, sci-fi and more. Audible titles play on iPhone, Kindle, Android and more than 500 devices for listening anytime, anywhere. Al Melchior (FanRag Sports) and Bobby Sylvester talk about Noah Syndergaard coming back (0:27) and all of the injuries that are flooding the Major Leagues over the past week (2:01) before discussing Tim Beckham and Byron Buxton's breakouts (5:07). When they move over to the waiver wire segment, the pair touches on Lucas Giolito, Max Kepler and Nick Delmonico among many others (9:28). Al then tries his hand at Bobby's trivia (20:15) before they take a few questions from the listener mailbag (27:01) including whether they would prefer to build around Aaron Judge or Gary Sanchez. Sponsor: www.AudibleTrial.com/fantasypros -- Audible has over 180,000 titles to choose from in every genre: thrillers, business, romance, comedy, sci-fi and more. Audible titles play on iPhone, Kindle, Android and more than 500 devices for listening anytime, anywhere. Dan Harris joins Bobby Sylvester to discuss who the MVP is now that Harper is down (2:22), Giancarlo's surge and some unbelievable stats (4:51). The Waiver Wire discussion includes one pitcher Bobby loves (11:38) and the Listener mailbag covers questions about Andrelton Simmons' MVP candidacy (18:53), whether Aaron Nola is an ace, and Kevin Gausman's fantasy future. Then, Dan challenges Bobby to some trivia (30:01). Sponsor: www.AudibleTrial.com/fantasypros -- Audible has over 180,000 titles to choose from in every genre: thrillers, business, romance, comedy, sci-fi and more. Audible titles play on iPhone, Kindle, Android and more than 500 devices for listening anytime, anywhere. Derek Carty of RotoGrinders.com and ESPN joins Bobby Sylvester to chat about news of the week, dig into the waiver wire and answer questions from the listener mailbag. The pair discusses the Yonder Alonso trade (0:30), whether Willson Contreras is a star (1:52) and Yu Darvish's resurgence (5:20). They are both excited about Lonnie Chisenhall among many other hitters in the waiver wire discussion (9:25) then they try to shy people away from a few pitchers throwing well lately (16:03). Finally, they give general DFS advice (19:23), break down Xander Bogaerts struggles (21:41) and discuss whether Luis Severino is a top 10 fantasy pitcher (24:10). Sponsor: www.AudibleTrial.com/fantasypros -- Audible has over 180,000 titles to choose from in every genre: thrillers, business, romance, comedy, sci-fi and more. Audible titles play on iPhone, Kindle, Android and more than 500 devices for listening anytime, anywhere. The trade deadline has come and gone and joining us to recap all the latest is Paul Sporer of FanGraphs. You won't want to miss this episode as we discuss Adrian Beltre's Hall of Fame candidacy (0:41), the Sonny Gray trade (2:59), Yu Darvish's new home (5:56) along with some of the less discussed players involved in these moves. We've also got quite a few names to cover from the waiver wire including a pair of prospects in Amed Rosario (14:57) and Ozzie Albies (15:13), and a few hot hitting batters (18:37). Got questions you want answered? Check out our latest mailbag segment as well (25:26). Sponsor: www.AudibleTrial.com/fantasypros -- Audible has over 180,000 titles to choose from in every genre: thrillers, business, romance, comedy, sci-fi and more. Audible titles play on iPhone, Kindle, Android and more than 500 devices for listening anytime, anywhere. Another week of baseball has gone down, trades are taking place, and all of this has fantasy implications. Nick Pollack of PitcherList.com joins us this week to cover the latest including Trea Turner's potential return (1:26), Trevor Cahill's move to KC (8:54), The Yankee's bullpen moves (15:05), and waiver wire pickups to look at (20:32). Sponsor: www.AudibleTrial.com/fantasypros -- Audible has over 180,000 titles to choose from in every genre: thrillers, business, romance, comedy, sci-fi and more. Audible titles play on iPhone, Kindle, Android and more than 500 devices for listening anytime, anywhere. The trade deadline is looming, players are being moved, and we've got plenty to talk about with Dalton Del Don of Yahoo! Sports. Listen in as we discuss the Nationals' closer situation (7:24), what to make of the Cardinals' bullpen (10:15), who on the waiver wire is worth looking into (11:03), mailbag questions (22:15) and more -- including our thoughts on the contending Tampa Bay Rays (16:25) and whether or not the Dodgers, not the Astros should be World Series favorites (32:42). Sponsor: http://www.AudibleTrial.com/fantasypros -- Audible has over 180,000 titles to choose from in every genre: thrillers, business, romance, comedy, sci-fi and more. Audible titles play on iPhone, Kindle, Android and more than 500 devices for listening anytime, anywhere. Dan Harris is back with host, Bobby Sylvester, for an entertaining double-episode packed with thoughts on the Quintana trade (2:53), some amazing stats (11:10) and each of their top five hot takes for the second half (22:41). Then Dan flips the table on Bobby in revenge for his impossible trivia segment (50:06) before they finish with their playoff predictions (59:32). Make sure to check out the new bumper music from Absofacto. Trea Turner went down so what's his value now (4:44)? We're looking at what this means for his fantasy owners with friend of the show and featured FantasyPros writer, Dan Harris. We're also chatting about Rich Hill's recent outings (10:07), Aledmys Diaz's demotion (17:02), Mark Melancon's replacement (21:36), before discussing pitchers (24:21) and hitters (35:30) to consider picking up off the waiver wire. Miguel Montero just opened a space on the Cubs' roster, so what's Kyle Schwarber's value now (1:48)? We're joined by guest, Jim Sannes of numberFire.com and we've got plenty to talk about including a few hot hitters available on the waiver wire (7:31), a few interesting pitchers to keep an eye on (19:06), and we're answering some great questions from the listeners like what to do with CarGo (28:07). Sponsor: FantasyFactor.com - Focus on single-entry contests with flatter and deeper prize pools. Catering the recreational fantasy player. Cody Bellinger is mashing his way into the top of drafts for next season at his current pace, but is it sustainable (2:09)? Justin MacMahan of DailyFantasyInsider joins us to talk about the rookie's current hot streak, what to make of Andrew McCutchen's recent stretch (6:17), waiver wire pickups (8:29), and more, including answering our listener mailbag (19:53). Sponsor: InGameFantasy.com - Pick up and play real-money fantasy contests after the games have started. Take advantage of our special promo code "Pros" to get a free $5 credit. Available on iOS and Android. There hasn't been much breaking news as of late, but the MLB Draft did just wrap up and we're discussing who may be some future fantasy studs (1:54). We've got Brandon Warne joining us to discuss his Twins' No. 1 pick. Lance McCullers also hit the DL recently (11:42), and just who is Max Scherzer yelling at when he's dominating on the mound (9:57)? Of course we're chatting about the waiver wire as well starting with Lewis Brinson (15:08), Seth Lugo (23:35), and Pat Neshek (27:08) just to name a few. Sponsor: InGameFantasy.com - Pick up and play real-money fantasy contests after the games have started. Take advantage of our special promo code "Pros" to get a free $5 credit. Available on iOS and Android. Just when you thought Craig Kimbrel's 2016 season was a sign of him slowing down, he proves everyone wrong and is the most dominant closer in baseball right now (4:03). We're talking about just how special of a season he's having with FantasyPros featured writer, Dan Harris. Of course, we're also running through players to consider picking up off of waivers starting with hitters (14:30), then moving onto pitchers (25:27). We're wrapping things up with a fun trivia section (35:16) before answer questions from the listener mailbag (41:27). Sponsor: InGameFantasy.com - Pick up and play real-money fantasy contests after the games have started. Take advantage of our special promo code "Pros" to get a free $5 credit. Available on iOS and Android. Mike Trout's hurt (1:12) and Danny Duffy's droppable (1:47). We're covering the latest news with our guest Al Melchior as well as discussing the waiver wire options such as Bradley Zimmer (9:17), Brandon Drury (13:59), Brad Peacock (16:51), and Dinelson Lamet (20:34). Don't miss out on our listener mailbag as we answer prospect questions (21:55) before jumping into our rapid fire lightning round where Al answers whose May performances are the real deal or just flukes (30:13). Sponsor: InGameFantasy.com - Pick up and play real-money fantasy contests after the games have started. Available on iOS and Android. With so many players on the DL this year, teams have been forced to drop studs or hang onto injured players that are taking up valuable space. All that means is that there's still talent to be picked up. Chris Meaney, host of the FNTSY Sports Network's podcast is joining us to discuss all these players including future prospects in Yoan Moncada (10:52) and Gleyber Torres (13:46), as well as established players in Starling Marte (4:58), David Peralta (8:57), Joe Ross (19:42), and Archie Bradley (24:07). Sponsor: InGameFantasy.com - Pick up and play real-money fantasy contests after the games have started. Download InGame Fantasy and use promo code FPros to claim your free $5. Available on iOS and Android. Joining us on today’s show is Matt Lutovsky of SportingNews.com. With nearly two months of baseball played, we’re playing a little game and giving our take on what to believe is real or not. This includes hot starts from teams like the Brewers (5:10), Twins (6:58), Diamondback, and Rockies (11:33), as well whether Miguel Sano is MVP-worthy (15:51), if Andrew McCutchen can be dropped (26:09), what Eduardo Rodriguez’s value is (33:35), or if Jose Berrios will be a top 20 pitcher the rest of the way. Sponsor: InsideInjuries.com - Get the Inside Injuries mobile app today for injury news & predictions. Available on iOS and Android. Injuries have been crushing this season and owners will now need to replace Freddie Freeman (1:47). Jim Sannes of numberFire is here to give us his take on what to do with your roster spots including Edwin Diaz's demotion (8:09), Trevor Story's impending return (10:48), Trea Turner's slump (16:03), and Nate Karn's hot streak (31:47). We've got all this and more including fun facts from our trivia segment (20:57). Sponsor: InsideInjuries.com - Get the Inside Injuries mobile app today for injury news & predictions. Available on iOS and Android. The recent call-ups of Ian Happ (7:58), Bradley Zimmer (6:34), and Jose Berrios (8:29) all have fantasy owners wondering, are these guys legit? We're answering all those questions and more in our latest listener mailbag segment (8:56) with FantasyPros correspondent, Chris Bragg. Sponsor: InsideInjuries.com - Get the Inside Injuries mobile app today for injury news & predictions. Available on iOS and Android. Jared Kwart of FantasyCruncher.com joins the show to answer listener questions including his DFS tips on lineup construction (26:41). Tune in as we break down GPP strategy (26:46), weather impact (32:50), and favorite players to use (44:53). Of course, we've got season-long player covered too as we look to the waiver wire for more help (14:44). Sponsor: InsideInjuries.com - Get the Inside Injuries mobile app today for injury news & predictions. Available on iOS and Android. We're joined by Steve Gardner of USA Today and today we're chatting about the latest debacle in New York with Matt Harvey (0:51). There's also been no shortage of injuries this season and we can't talk about injuries without mentioning Rich Hill (6:30), J.D. Martinez's impending return (13:37), Jameson Taillon's unfortunate situation (15:58), and Adrian Gonzalez's future job security (26:32). Sponsor: InsideInjuries.com - Get the Inside Injuries mobile app today for injury news & predictions. Available on iOS and Android. We're handing out awards after one month and Dalton Del Don of Yahoo! Sports is here to join us. It's hard to argue who the American League (2:20) and National League (5:42) MVPs are so far, and the same could be said about the AL (10:29) and NL (13:06) Cy Young leaders. With that said, the Rookie of the Year race is an unexpected one with our picks for the AL (17:41) and NL (19:27). We're also answering your questions in this week's listener mailbag (21:10). Sponsor: InsideInjuries.com - Get the Inside Injuries mobile app today for injury news & predictions. Available on iOS and Android. Joining us to talk baseball today is Nate Grimm of Rotoworld. The month of May has gotten off to a rocky start with a few aces hitting the DL (2:02), the Nationals needing to fill Adam Eaton's shoes (6:05), and the A's have yet another closer (9:41). Aaron Judge continues to surprise (15:10) while Kyle Schwarber continues to disappoint (17:36). We've got all this plus some waiver chatter (21:37) to help you with your team. Sponsor: InsideInjuries.com - Get the Inside Injuries mobile app today for injury news & predictions. Available on iOS and Android. Noah Syndergaard has bicep discomfort (3:13), Trea Turner almost hits for the cycle twice (1:00), and Julio Urias had his first start of 2017 (5:26). We're talking about it all in our latest episode with guest, Brandon Warne, featured writer at FantasyPros. We're also answering all your questions with our latest mailbag segment (21:59) and giving you our thoughts on some popular waiver wire options (7:54). Sponsor: PlayDraft.com. Play one-week fantasy games with fast snake drafts. Use promo code fantasypros for a 100% deposit bonus! Cody Bellinger got the call-up (1:23), fellow prospect Christian Arroyo did as well (10:43), and there's been plenty of updates across the league to talk about. Joining us is Chris Meaney, host of FNTSY Sports Network's podcast, to discuss all that's been happening including Shelby Miller's injury (3:22), Chris Sale's phenomenal start (23:52), and some good old fashion trivia (33:36). We've got Jim Sannes of numberFire joining us to chat about the waiver wire heading into the back-end of week 3. Be sure to listen as we're answering questions submitted into our mailbag (27:45) like whether you should sell-high on James Paxton and Danny Duffy (27:54), and on the flip side, who you should consider buying low right now (39:05). Is Jason Vargas real (1:41)? Will David Price be shut down (7:07)? Is Jose Bautista finished (35:11)? We're touching on all the hot topics. Sponsor: PlayDraft.com. Play one-week fantasy games with fast snake drafts. Use promo code fantasypros for a 100% deposit bonus! Eric Thames is scorching everything in his path (1:08), Starling Marte is a goner for 80 games (9:28), and Rich Hill is hurt again (25:19). There are a ton of news items to go over and fantasy decisions to be made. We're covering all of it with guest, Dan Harris, featured writer at FantasyPros. We're also breaking down the closer carousel and what names you should be watching (16:53) before we jump into a few trivia questions (27:50). The show closes with quick draft using the DRAFT app for Wednesday's MLB slate. Got questions you'd like answered? Email them to us at mailbag@fantasypros.com Sponsor: PlayDraft.com. Play one-week fantasy games with fast snake drafts. Use promo code fantasypros for a 100% deposit bonus! The Reds are on fire, but are they actually any good (2:35)? We're back with another episode to discuss the latest happenings around the league and this time, we've got a game of trivia with our guest and featured writer at FantasyPros, Chris Bragg (10:48). We're also answering questions that you the listeners have sent in and if you want your questions answered, send them over to bobby@fantasypros.com. Sponsor: PlayDraft.com. Play one-week fantasy games with fast snake drafts. Use promo code fantasypros for a 100% deposit bonus! Michael Waterloo from RotoExperts.com joins Bobby to chat about a number of players off to slow starts from Byron Buxton (1:35) to Tyler Glasnow (5:22) and players who have had hot starts including Drew Pomeranz (11:03), George Springer (18:25) and Wily Peralta (22:56). Then they make their way to the listener mailbag to answer questions about whether Mike Trout is already a Hall of Famer (32:28) and who the best basketball players in the Big Leagues are (34:26). Sponsor: PlayDraft.com. Play one-week fantasy games with fast snake drafts. Use promo code fantasypros for a 100% deposit bonus! We've got another episode filled with your questions including a few thoughts on potential waiver wire pickups. Listen in as Bobby and guest, Jared Kwart of Fantasy Cruncher, answer all your questions such as what to make of Lindor's hot start (7:02), thoughts on picking up Dylan Bundy (17:55), if Joey Gallo is playing his way into a full-time role, and even a question that one of our own team members here at FantasyPros has regarding how much stock you should put into avoiding picking up closers within the same division (14:54). Sponsor: PlayDraft.com. Play one-week fantasy games with fast snake drafts. Use promo code fantasypros for a 100% deposit bonus! Al Melchior of FanRagSports.com joins host, Bobby Sylvester for the first episode since Opening Day. The pair discusses Mad Bum's hitting (5:12) and some injuries before moving onto the Angels closer situation (8:41), whether Carlos Martinez is a legitimate ace (14:14) and if Dallas Keuchel is back. Eventually, Bobby throws some tough trivia questions at Al (18:18) including some amazing historical facts, then they close by answering questions from the listener mailbag (24:35) which included whether Kiermaier can compete for MVP, if Otani will eventually be used as a hitter and who the top five most talented pitchers are in baseball. Sponsor: PlayDraft.com. Play one-week fantasy games with fast snake drafts. Use promo code fantasypros for a 100% deposit bonus! Baseball is finally here and so are the first DFS slates of the MLB season. We're joined by Justin MacMahan, co-founder of Daily Fantasy Insider to break down Sunday and Monday's matchups, FanDuel's new late-swap feature (12:09), give our value plays (22:01), and everything you can think of to help build your first lineups of the season. NOTES: Sponsor of today's show: www.InsideInjuries.com - Get the Inside Injuries mobile app today for injury news & predictions. Available on iOS and Android. With the first pitch of the regular season right in front of us, Greg Smith of The Fake Baseball joins us to preview the MLB landscape. We're making predictions for each division starting with the AL East (3:41) and ending with the NL West (24:58). Listen in as we predict who will be the champions this season (31:43) and name all the individual award winners after 162 games (31:58). After completing multiple drafts, we're analyzing trends in our picks by taking a look at our most commonly drafted players across multiple leagues. Our friend and FantasyPros writer, Dan Harris, joins us as we break down our roster construction and discuss the reasons of why names like Matt Carpenter (24:53), Anthony Rendon (30:02), Jean Segura (36:02) along with many others continue to make it on our rosters. NOTES: Sponsor of today's show: www.InsideInjuries.com - Get the Inside Injuries mobile app today for injury news & predictions. Available on iOS and Android. We're wrapping up our mock draft series and this time we're starting with the 10th pick. Joining us for the fun is FantasyPros correspondent, Chris Bragg. Like all drafts, you'll need to be flexible based on how the cards are dealt and we're demonstrating that this time around with as the Marmol strategy makes an appearance (21:33). Get our thoughts on top-end players such as Josh Donaldson (7:00) and Bryce Harper (7:37) before we move onto a few names further down in your draft such as Yasmani Grandal (35:48) and Steven Matz (38:04). NOTES: Sponsor of today's show: https://insideinjuries.com/ - Get the Inside Injuries mobile app today for injury news & predictions. Available on iOS and Android. We're back to get you ready for the start of the season and we've got Chris Meaney, host of FNTSY Sports Today, joining us to discuss players who carry a bit of extra risk when considering them in a fantasy draft. Listen in as we give our thoughts on over 20 players including some high-upside, low-cost names in David Peralta (34:47), Carter Capps (41:31) and Drew Smyly (44:17). NOTES: Sponsor of today's show: www.TeamStake.com - Manage your league's finances with TeamStake. It's free, secure, and easy to use. We're mock drafting again and this time it's from an early round spot with our guest, Paul Sporer of FanGraphs. We'll be using our Draft Wizard Simulator to run a mock draft as we go pick-by-pick and talk through the different strategies around each turn. Listen in as we take different approaches to the number two pick starting with Nolan Arenado (5:47) and Clayton Kershaw (7:10). Get insight on whether you should be afraid of Jean Segura (19:01), who Paul likes in a surprisingly shallow field of first basemen (19:01), and much more including our grades at the end (47:40). NOTES: Sponsor of today's show: www.TeamStake.com - Manage your league's finances with TeamStake. It's free, secure, and easy to use. Dalton Del Don of Yahoo! Sports joins us to give his hot takes for the season. We're making 10 bold predictions for you to consider when drafting and discussing some of Dalton's recent LABR picks. NOTES: Sponsor of today's show: www.TeamStake.com - Manage your league's finances with TeamStake. It's free, secure, and easy to use. We're joined by Derek Carty, creator of THE BAT Projections System, and also champion of last year's NL-Only LABR League to talk about his picks for this year's league. If you're ever considering playing one of these types of formats, or have an upcoming draft with this setup, listen in to get our analysis of his draft as well as his breakdown on picking Clayton Kershaw (6:18), Yasiel Puig (12:46), Ryan Braun (22:00) and many other players. The middle rounds are filled with players that can provide significant upside at reduced costs if you know who to target. We're chatting with Michael Waterloo of RotoExperts and discussing former top prospects with upside, high-floor players, and breakout candidates. Jim Sannes of numberFire joins us to name bounce-back candidates ahead of the season. Are Giancarlo Stanton and Andrew McCutchen worth their draft price? How about Chris Archer and King Felix? We’re going down the rankings as well as discussing common draft mistakes to avoid. Pitchers and catchers have reported and spring training is officially starting. Joining us today is Al Melchior (@almelchiorBB) to discuss recent news including Alex Reyes and the impact his injury has on Cardinals, as well as Jose Peraza's promotion. We're also talking about two big name players whose injury pasts should be concerning heading into drafts and what to expect from a few members of that stacked Cubs lineup. Spring training kicks off in days and we're analyzing the top ranked players with Scott White of CBS Sports. Get all your fantasy questions answered about the first two rounds including whether Mike Trout is the undoubted No. 1 pick (4:20), if it's crazy to take Trea Turner in the top 3 (5:01), whether Clayton Kershaw is worth the risk (13:12), and which players are the safe bets as you decide on your second player to take off the board. With pitchers and catchers reporting in just a couple weeks, we're taking a look at the expert consensus rankings and reviewing relievers and catchers with Brandon Warne (@Brandon_Warne). Starting with the big names up top (4:07), through the wide-ranging second tier (7:05), and the sleepers down low (16:43), hear our arguments for 20 closers that'll surely be on your list of players to consider drafting. The catcher position is a mess, but we're tackling over 10 names from the position beginning with Kyle Schwarber (23:46) and Buster Posey (25:50). We're back with our early season review of rankings at each position and in this episode, host Bobby Sylvester is joined by Jamie Calandro of Fantasy Team Advice to tackle starting pitchers. They go tier-by-tier beginning with Clayton Kershaw (6:53), who is in a league of his own, followed by guys further down the list in Rick Porcello and Michael Fulmer (21:04). There is no shortage of players covered, and you'll also get Bobby and Jamie's analysis on who they expect to perform, and who they expect to fall flat. Who doesn't love to talk about fantasy baseball prospects? In this episode, Bobby Sylvester is joined by Mike Rosenbaum of MLB Pipeline to discuss all up and comers for the season. Starting with a few impact bats, they're looking at the fantasy value of Andrew Benintendi (2:03), Dansby Swanson (3:06), Yoan Moncada (6:13), Yulieski Gurriel (7:07), Aaron Judge (10:40), Manuel Margot (11:58), Ozzie Albies (12:18) and a couple power hitters in Dan Vogelbach (13:35) and Peter O'Brien (15:03). There are plenty more names including the likes of Franklin Barreto (15:31) and Austin Meadows (17:00) before switching over to the pitching prospects. It wouldn't be a discussion if the future aces weren't talked about - Alex Reyes (25:00), Tyler Glasnow (26:52), Jose De Leon (28:49) and Lucas Giolito (30:02). Like the hitters, there are no shortage of pitchers that are covered with Brent Honeywell leading the conversation (35:14), followed by Robert Stephenson (36:18), and Josh Hader (37:51). Be sure to listen all the way through as Bobby and Mike discuss a few names that are a ways off, but could develop into top 5 prospects down the line. Host Bobby Sylvester is back and is joined by none other than the founder of Baseball HQ, Ron Shandler. They're looking at the sophomore class heading into 2017 and open the show discussing players who blew away expectations last season (2:10) beginning with Trea Turner (3:17), David Dahl (4:53) and Gary Sanchez (5:08). Before switching over to pitchers, they converse on other names that shouldn't be lost on anyone's radar - Tyler Naquin (6:18), Nomar Mazara (7:02), Byron Buxton (7:43), Tim Anderson (8:35), Jose Peraza (8:35), Corey Seager (9:11), Yulieski Gurriel (10:36) and Aledmys Diaz (11:54). They also dive into a three players for deeper leagues (14:03) before switching to pitchers starting with Michael Fulmer (14:03), Kyle Barraclough, and Hector Neris (19:18). The episode is packed full of discussion on upside pitchers (20:32) before closing out the show with how to use Ron's Broad Assessment Balance Sheet (BABS) to help you in fantasy. In the third offseason episode, Jim Sannes of numberFire and host, Bobby Sylvester discuss the latest offseason news including the deal for Adam Eaton (1:32), Dexter Fowler's new home with St. Louis (5:41) and what Aroldis Chapman's signing means for Dellin Betances and the Yankees' bullpen (9:31). There are still a few big name free agents that have yet to sign and they're breaking down what Jose Bautista and Edwin Encarnacion's value may look like should they move (13:49). After covering the news, they break down the shortstop position beginning with Trevor Story (16:59), Xander Boegarts (20:05), Carlos Correa (21:07), Corey Seager (23:07), and Jean Segura (25:26). They then look at some players at the position who could be picked up a bit later in Troy Tulowitzki (27:55), Addison Russell (30:02), Aledmys Diaz (32:16), Dansby Swanson (33:54), and Brad Miller (35:59). Before they cover second base, they name their sleepers at the position (38:28) and two overpriced players (40:51). The discussion of second basemen begins with Robinson Cano (44:43), Rougned Odor (45:25), Dee Gordon (46:46), and Matt Carpenter (48:08). The show wraps up with a look at the second tier of players at the position - D.J. LeMahieu (52:31), and Javier Baez (53:43), before closing with Bobby and Jim's sleepers (54:49). We're joined by FantasyPros Correspondent Dan Marcus this week to recap the latest movement happening during the Winter Meetings starting with four big names in Chris Sale (0:55), Mark Melancon (5:07), Matt Holiday (6:43), and Carlos Beltran (7:34). Bobby discusses how potent the Astros lineup is with the trade, and gives possibly his biggest hot take of the year (8:28). We take a look at third base beginning with the top targets at the position (10:21) followed by some players Bobby and Dan expect to disappoint such as Jonathan Villar (12:42), Ryan Healy (14:42), Todd Frazier (16:51), and Miguel Sano (18:30). We then shift the focus to Jung-ho Kang (20:16), Matt Carpenter (20:46), and Nick Castellanos (23:19) who could have a solid 2017. Before getting into the first basemen, Bobby and Dan discuss a few infield prospects they're high on -- Joey Gallo (24:56), Javier Baez (28:25), and Jake Lamb (30:00). Changing over the the other side of the infield, first basemen had a down fantasy year in 2016 (30:55) and we're discussing how valuable Freddie Freeman is (31:25), how the studs at the position should bounce-back (33:05), we're naming some buy-low candidates (35:05) as well as some players who could be in store for a down year (39:55). We're joined by baseball writer and guru, Al Melchior (@almelchiorBB), as we dive into the offseason happenings and our first consensus rankings of the year. Bobby and Al start with discussing the recent trade of Jean Segura and Taijuan Walker (1:16), other potential trade candidates in Michael Wacha and Andrew McCutchen (6:20), before they begin getting into what to expect from the top OFs from 2016 (9:13). They break down Bryce Harper's prospects (9:59) and what kind of potential J.D. Martinez could bring to the table (10:49), followed by discussing guy's who had breakout years in Mark Trumbo, George Springer, Jackie Bradley, and Ian Desmond (14:08). Keeping the outfield discussion going, questions about Miguel Sano, Justin Upton, Yasiel Puig, A.J. Pollock and Michael Brantley (19:09) carry the episode up until Bobby and Al discuss why Joc Pederson and Nomar Mazara should be on your radar. They don't miss a thing as they also answer the question of whether you should believe in prospects Andrew Benintendi and Byron Buxton (26:46) before dissecting the rankings with their thoughts on Trea Turner, Starling Marte and Ryan Braun. Don't skip a minute in this episode as Bobby and Al give a hot take on one player they both would prefer keeping to themselves. In our first offseason episode, our good friend and FantasyPros correspondent, Dan Harris, joins Bobby Sylvester to recap the postseason run of the Cubs (0:33), the impressive play of the Indians (5:33), and what the Cubs need to do to make another World Series run (11:41). Then we switch gears and start looking into free agency starting with the big name bat, Yoenis Cespedes (17:17). We then look into the closer market and chat about Aroldis Chapman, Kenley Jansen, Mark Melancon and Greg Holland (21:25) before we start diving into the mid-tier free agents such as Carlos Gomez, Jeremy Hellickson, Ian Desmond, and Sean Rodriguez (28:23). To close out our discussion, we dive into the potential trades that could take place this offseason that could very well include big name pitchers such as Chris Sale, Sonny Gray, Jake Odorizzi, Mike Leake and Zack Greinke (35:05), as well as a few big name hitters including A.J. Pollock, J.D. Martinez, Andrew McCutchen, and Ryan Braun (42:21). The last regular season episode of the season features guest, Jared Kwart of FantasyCrunchers joining Bobby Sylvester to discuss the life and career of Jose Fernandez (0:55), hand out MLB awards (6:07), fantasy awards (26:01), make some playoff predictions (34:03), and look into the off-season with some bold predictions (45:58) including Chris Sale being traded, the biggest and best off-season contracts and 2017 World Series predictions. FantasyPros correspondent Dan Harris joins us to answer questions from the listener mailbag about the playoffs (8:54), which rookies have the brightest future (23:06) and some fantasy playoff strategy (18:10). We chat about Bryce Harper's potential shoulder injury (5:20) and Ender Inciarte's spectacular game winning catch (0:33). We also break down a few of the top waiver wire pickups for the week (29:18): Sean Rodriguez, Ryon Healy, Ariel Miranda and Taijuan Walker. Today, host Bobby Sylvester chats with FantasyPros Corespondent, Dan Marcus about News of the Week (0:34), questions from the Listener Mailbag (6:18), Waiver Wire pickups (26:05) and players for Friday's DFS slate (31:13). In the news section, Bobby and Dan talk about Jose Ramirez (0:35), Jose Altuve (1:14), the AL playoff race, and the NL playoff race. Then in the Listener Mailbag, the duo touches on 2017's home run leaders (6:25) where they discuss Nolan Arenado, Jose Abreu and Yoenis Cespedes among some others. Next, they dive into some underrated players for dynasty leagues (9:59), which include Bryce Harper, Byron Buxton and a few others. They close out the section by talking about 2017 and 2018 free agent classes (17:24) and fantasy playoff strategy (23:26). The Waiver Wire section discusses Yulieski Gurriel (26:08), Terance Gore (27:37), Clayton Richard and Jharel Cotton (28:26). Their DFS plays of the day (31:13) are Max Scherzer, Chris Archer, Nolan Arenado and Joey Votto. We welcome Jared Kwart (@jaredsgotmoxy) of moxyball.com to the pod to discuss news of the week, hot waiver wire pickups, and DFS plays for Friday night's slate. We begin with an attempt to put Brian Dozier's incredible second half in perspective (1:49), Tim Tebow signing with the Mets (5:41) and Stephen Strasburg's latest injury (8:10). We move on to the listener mailbag and answer questions about Rich Hill's success in 2016 (9:10), Albert Pujols' historic career (13:37), and which New York team has a better chance of making the playoffs (17:08). Next we take a look at the waiver wire and talk about whether you should pick up Byron Buxton (21:31), Yasiel Puig (23:19) and Jose De Leon (24:30). We finish by looking at Friday night's DFS slate and Jared gives us his favorite GPP pitchers (26.49), favorite value plays (30:52) and hitters worth their high price tag (32:04). Justin MacMahan (@JustinMacMahan) of Daily Fantasy Insider joins us to discuss some news of the week, DFS plays for Friday, and advice for those of you in the fantasy playoffs. We begin by covering Neil Walker's season ending injury (4:07), Gary Sanchez's hot start (6:11), Dustin Pedroia's recent explosion at the plate (10:05), and the Cubs continued dominance over the National League (12:07). Moving on, Justin gives us his best daily fantasy plays for Friday, including his top cash game pitcher (13:41), his top GPP pitcher (15:31), why he likes Phillies hitters at their current price (16:35), his favorite middle tier bats (21:26), and position players worth paying a high price on Friday night (22:01). We continue by answering listener mailbag questions that include inquiries on how to manage a head to head pitching staff in the playoffs (24:36), how Corey Seager's hot start compares to other elite young talent (26:51), is Joey Votto the best hitter in baseball (28:54), and if there are any September call-ups worth adding to your roster for the fantasy playoffs (31:02). We take a look a some players worth grabbing off the waiver wire, including Yoan Moncada (32:52), Corey Dickerson (34:59), Ivan Nova (35:59), and Luke Weaver (37:06). Our discussion is wrapped up by a quick fantasy football digression where Justin gives us two sleepers he likes for the upcoming fantasy football season (40:30). We're joined by Dan Harris to discuss the latest in MLB news and help fantasy owners with their teams down the stretch. We begin by diving into the latest news, with discussion of injuries that includes Giancarlo Stanton(4:30), Michael Brantley (6:12) and Matt Holliday (8:40). Rounding out recent news, we discuss Jonathan Papelbon's release from the Nationals (11:15), and Dansby Swanson's major league promotion in Atlanta (12:16). We continue our discussion with MLB final stretch predictions including American League playoff hopefuls (18:00), the National League races (21:30), AL and NL MVPs (27:17), CY young award contenders (33:03) and our Rookie of the Year picks (40:51). We answer some mailbag questions about Aaron Judge(41:34), hot takes (43:58) and which current players could challenge for 3000 hits or 500 home runs in their career (48:19). We finish with a look at possible waiver wire additions like Yasiel Puig (54:09), Sandy Leon (55:53), Dan Strailey (1:02:01), Blake Snell (1:02:51) and Keon Broxton (1:07:18). We're joined by FantasyPros correspondents Dan Marcus and Dan Harris. We begin by discussing the latest MLB news from the week including Alex Rodriguez's retirement (1:58), Prince Fielder's retirement (5:12), Tim Tebow (7:26), and Ichiro's milestone achievement (11:07). We move on to our "Hot Takes" segment which includes discussion of Brad Miller (13:11), position scarcity at first base (15:55), Yu Darvish (19:04), Billy Hamilton (20:38), Ervin Santana (22:35), Jose Ramirez (27:50), Yulieski Gourriel (31:00), Rick Porcello (33:10) and Miguel Sano (35:33). We answer listener mailbag questions that feature Ken Giles (38:06), David Dahl (41:49), next year's rookie hitters (45:55), Justin Verlander (48:50), and who we would bat 1-4 in our dream lineup of current hitters (50:50). Dan Harris joins us at (53:44) to talk about waiver wire options including Travis Jankowski, Mike Zunino (56:23), Joe Musgrove (59:05), Alex Reyes (1:02:47), and Luis Severino (1:05:36). We finish with some trivia questions (1:10:45). Derek Carty of ESPN and Rotogrinders joins us to discuss the MLB trade deadline (2:22) and Yasiel Puig's demotion (7:07). He also helps out with the listener mailbag where we discuss the world of closers and how bullpens are shaking out after all of the trades (9:40), historic center fielders (13:09), whether Jose Altuve is the best player in baseball (14:35), and if Max Kepler is a better dynasty option than Twins teammate Byron Buxton (15:26). Derek helps us with some waiver wire decisions on players that could provide a boost down the stretch like Andrew Benintendi, Orlando Arcia, Dylan Bundy and James Paxton (18:14). Derek sticks around for a quick round of trivia (21:50) before we move on to Thursday's DFS slate with producer JP Gale (25:12). Is Trevor Story having the best rookie season ever for a shortstop and should the White Sox deal James Shields? Guest, Jared Kwart, co-founder of Moxyball.com joins host, Bobby Sylvester to discuss that and more. The pair open with a big segment on the trade deadline (3:54), then move on to the Listener Mailbag (13:10), Waiver Wire pickups (27:02) and Friday night's DFS slate (34:44). Which three players would you build a franchise around, and who is the best living hitter? Host, Bobby Sylvester is joined by Chris Cotillo of MLB Daily Dish and Matt Van Every, The Unknown Fantasy Dude to discuss these questions and key in listeners on the upcoming trade deadline, this week's waiver wire pickups and tonight's DFS slate. Could Mike Trout end up the best player of all-time and should you pick up Alex Bregman? Host, Bobby Sylvester chats with FantasyPros Corespondent, Dan Marcus about these questions and more in this week's podcast. The pair covers News of the Week (2:27), Waiver Wire (15:05), First Half Fantasy All-Stars (24:08) and answers questions from our Listener Mailbag (33:19). Should you pick up Tyler Glasnow and do the Marlins have the best offense in the NL? Daily Fantasy Insider, Justin Macmahan and host, Bobby Sylvester answer those questions and more as they cover News of the Week (2:49), DFS Advice (11:56), Waiver Wire (18:59) and our Listener Mailbag (29:17). Should you pick up Lucas Giolito, and will Jose Fernandez still be held to an innings limit? Jared Kwart of Moxyball.com joins host, Bobby Sylvester, to answer these questions and many more. You can find News of the Week at 3:22, Waiver Wire Advice at 19:00, Listener Mailbag at 33:04 and DFS Advice at 56:43. Are Aroldis Chapman and Andrew Miller really going to be traded? Who should you pick up on this week's waiver wire? Paul Sporer, FanGraphs.com's podcast host, joins Bobby Sylvester to answer these questions and many others. News of the Week can be found at 4:15, the Waiver Wire discussion at 25:36 and Listener Mailbag at 39:31. On this week's show, Matt Van Every, the Unknown Fantasy Dude, joins host Bobby Sylvester for some fun baseball chat about waiver wire pickups (2:24), MLB Predictions for the rest of the season (5:25) and advice for Friday night's DFS lineup (32:57). In this week's show Bobby Sylvester is joined by Adam Sutton of DraftStars.net, Matt Van Every, otherwise known as the Unknown Fantasy Dude and FantasyPros' correspondent JP Gale to discuss top news (1:15), week 7's preview (9:24), waiver wire pickups (12:56), answer questions from the listener mailbag (19:27), fantasy players on the fence (33:12), and prepare you for Friday night's DFS slate (41:20). 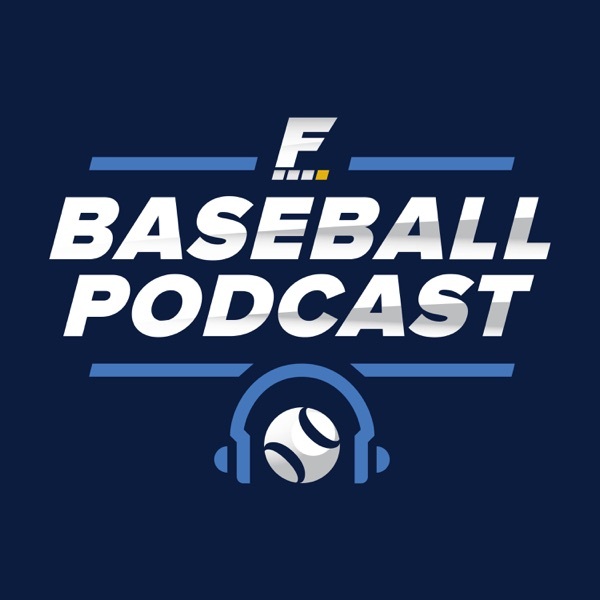 In this week's podcast, we welcome ESPN's Derek Carty and the Co-Founder of Moxyball.com, Jared Kwart to talk baseball with FantasyPros' host, Bobby Sylvester. Derek answers listener questions and sheds some light on DFS strategy, while Jared paints a picture of the top waiver wire pickups of the week and discusses top prospects. Carty (0:50), News (2:36), Listener Mailbag (7:15), DFS Strategy (14:10) - Kwart (18:19), Waiver Wire (18:58), Prospects (35;16), Week 6 Preview (43:24). FantasyPros' Correspondents Kyle Borgogoni and Dan Marcus join host, Bobby Sylvester, to talk about the top news of the week (1:53), waiver wire pickups (10:46), hand out fantasy baseball awards for April (14:55), take listener questions (26:28), offer a Week 5 Preview (35:30) and prepare listeners for the big Friday night DFS slate (39:40). FantasyPros welcomes guests Jamie Calandro of FantasyTeamAdvice.com and correspondent, Matt Terelle. Host Bobby Sylvester discusses the big news of the week (0:44), then talks with the guests about key waiver wire pickups (3:17), listener questions (12:01), who to hit the panic button on (26:11), our Week 4 Preview (30:58), and Friday night's big DFS slate (33:42). On this week's podcast, host Bobby Sylvester is joined by FantasyPros' Correspondents, JP Gale, (2:16) to discuss top waiver wire pickups, and Dan Marcus (22:08), to run through which fringe players you should start and sit for the upcoming week. If you weren't able to catch the major baseball news for the week, we offer a rundown at the start of each show. The first weekly episode of FantasyPros' Baseball Podcast runs through news leading up to Opening Day (1:40), a start/sit and pressing fantasy questions discussion with JP Gale(6:00), a series of bold predictions for fantasy players with Gavin Tramps (22:10), and DFS advice for Monday's big opening day slate with Adam Sutton of Draftstars.net (39:30).